Published on May 9, 2010 in Uncategorized. 1 Comment Tags: celebration, challenges, grief, growing, motherhood. Happy Mothers Day to everyone. This year I lost my own mother and so today will be a day of reflection and gratitude for the amazing person she was and my great fortune in being her daughter. And of course, my hope and attempts to pass all of her gifts and more to my own children. Being a mother is so complex. It provokes all your demons, challenges you to constantly grown and stretch. As a mom you are in a perpetual juggling act, trying to meet needs and hit a stride yourself; a near impossibility at times. 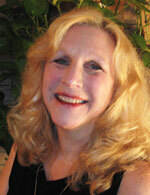 You are currently browsing the Ruth Ellerbusch, MA, LPC weblog archives for 'celebration' tag.